Due to low donations, the Annual UPark Costume Exchange is being postponed to Friday, October 12th. In order to make this event possible, we are in need of your gently used costumes! We would like to be able to support all students in participating in Halloween activities and your donations of gently used costumes will help us make this possible. Please drop off costumes in the main office as soon as possible. You do not need to donate a costume to participate in the exchange. UPark families and friends - Make a donation by September 30th and be entered into a raffle worth over $250! Click here to donate online or drop off cash or check to the UPark main office. For every $50 you donate you will be entered into a raffle to win 4 tickets to the UPark Auction, a great bottle of wine and $100 at Ginza Sushi. This deal is unlimited, so the more you donate, the better your chances. Our grade challenges have begun - stay tuned for who's in the lead. As of now, donations are so low that we can't even give a tally mark per class. Please consider helping our school, which helps our teachers and kids too. We all win! Picture Day is this coming Wednesday, October 3rd. You will find order envelopes in your student's Thursday folder today. Please return orders to your classroom teacher no later than the morning of October 3rd. You may also pre-order picture packages online here using the UPark access key PJ2WMJUY . Online pre-orders using this access key are available up to 4 days after picture day. Join us at Brightmarten, a new neighborhood gem for Restaurant Night! 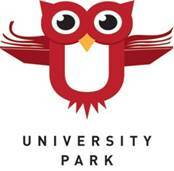 On Thursday, October 4th from 5:00 - 9:00pm Brightmarten will donate 25% of ALL sales to UPark. Please be sure to mention UPark to ensure donation and bring your family and friends for a fun night out! Click here for more information. Mark your calendar for the UPark Fun Run and Carnival on Sunday, Oct 28, 2018 from 11:30am-2:30pm. This is a fantastic school and community event. Click here for more information. We are looking for a dad(s) to lead the Dad's Grill this year and volunteer to grill the day of carnival. Please reach out to Sasheen at funrunvolunteers@uparkelementary.org. Calling all parent owned businesses! We would love to have you as a sponsor for this event. Please contact Joanna Shear at funrun@uparkelementary.org to find out more. We have three different sponsorship packages. Our next committee meeting with be held on Wednesday, October 10th at 9am at the picnic tables on the school playground. If you want to volunteer or just learn more, please join us. Thank you to our sponsors Orangetheory Fitness (Cherry Hills), Evolve Martial Arts, Dartmania and ABCNannies. important fundraisers, and are the key to our continued success and growth. The auction is also a fun way for parents, guardians, and faculty to connect and support our school and the community. All of the proceeds will go towards additional homeroom teachers and keeping our classroom sizes small. Our goal is to raise $77,000 this year. More information and how to donate to this event will be communicated in the coming weeks. The auction committee is looking for additional members to assist with the planning and coordination of this event. If you are interested in joining the committee, please email Tamara Reese & Rachelle Montanaro at auction@uparkelementary.org. In addition to robo-calls, DPS families will now receive texts from the district in the case of an emergency. Messages will be sent during crises such as lockdowns, evacuations and weather delays/closures. This new communication method allows DPS to inform families of issues in a much shorter time frame. Parents and guardians have automatically been opted-in to receive emergency texts based on cell phone numbers provided during registration. Please check to make sure your information is up-to-date in Parent Portal. Messages will be sent in English and Spanish. Learn more about lockdowns and lockouts here. ENRICHMENT: Enrichment has officially started! Please help remind your students which classes they are attending. Teachers have rosters to help guide their students to classes after school as well. If you would like to withdraw from an enrichment, please contact Austin. Enrichment classes will dismiss to the blacktop either behind the gym door, auditorium door, door #9, or door #15 when the class has ended for the day. You may double check your enrichment end time on the Neighborhood Center section of the school website. Please do not enter the building to pick-up for enrichment. Note that tennis lesson students will be picked up directly at Observatory Park on Thursdays. You may contact Kyle Wiley for any enrichment absences at kyle_wiley@dpsk12.org or (720) 467-1671. He will be support for both AM & PM enrichment. DISCOVERY LINK: Please make sure to e-mail Austin for any anticipated Discovery Link absences. It also helps to e-mail the office staff and/or your student's classroom teacher. We are currently on a wait list for both AM & PM Discovery Link sessions. If you would like to sign up and get on the wait list, please click here and follow the instructions. Remember, registration is not a confirmation of your spot. You will receive a separate e-mail once a spot opens that includes a start date. If you're a current enrichment family, you do not need to make a new account. For more details, feel free to e-mail me at austin_hachmeister@dpsk12.org or visit the Discovery Link website. SCHEDULE CHANGES/WITHDRAWALS (Discovery Link): Please visit the Family Resources section of the Discovery Link website here if you are a current discovery link family and need to withdraw or change schedules. This will open up spots for other families! Thank you! Click on the calendar icon to the right, look below, or visit the University Park Website to access calendar information! Congratulations to last week's 5 Star Wizard Hat students! They were recognized by their teachers for positive behavior. Last week's students include: Sydney Goude, Leandro Gonzalez Guerra, Juliet Montanaro, Natasha Nensel, Beckett Wander, Vidalia Dobbins, Chase Burns, Aftan Richardson, Oliver Samuels, Kenneth Geer, Ruby Dokken, Cameron Lewis, Franziska Henze, Karis Boroughs, Ken Kojima, Charlie Gold, Carl Kristensson, Luciana Salgado, Elise Cooley, Iris White, Ivy Grace, Landyn Gadbury, Liam Baker, Whitney Stone, Chance Grogan, Maeve Lemery, Elijah Lausa, Alexander Blair, Anna Austin, Zada Lemery, Izabella Castanon. Wizard Hats are given throughout UPark to celebrate students' good choices and positive behavior. We use a common vocabulary and teach Critical Thinking skills using the BrainWise curriculum. Each week there is a random drawing of 2 students done by classroom teachers. These children are photographed and receive a token of our appreciation. *At the end of each month we will be donating all clothing in the lost and found and anything left in the halls (all clothing will go into our little red school house in our parking lot). This is where you will find a list of flyers that DPS or approved organizations have asked we pass out to our community. Simply click on the flyer name to view in its entirety. Please ask the office staff if you need a hard copy.